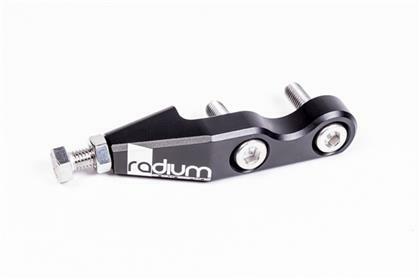 The Radium Engineering clutch fork return stop addresses a common problem on the Mitsubishi EVO pull-type clutch slave cylinder. During hard shifting and fast clutch pedal operation, the clutch fork can return too far and cause the throw-out bearing to become unclipped from the clutch fork. This results in expensive transmission removal to fix. 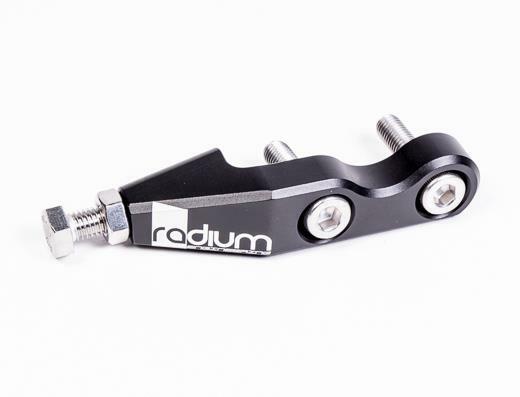 The Radium clutch return stop prevents the fork from over-traveling, eliminating a throw-out bearing issue. Inexpensive insurance to protect your clutch. The clutch stop is multi-axis CNC machined in order to position the hex bolt precisely square with the clutch fork.